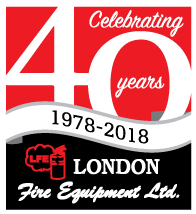 London Fire Equipment is a locally owned family business established in 1978. We currently employ 14 full time and 2 part time employees with 8 service vehicles and 1 trailer ready to serve you. Over the past 38+ years, we have been providing quality fire protection services to the commercial and industrial sectors as well as government, fire departments, restaurants, school boards, property managers and the general public. We want to say thank-you for your patronage! London Fire Equipment Ltd., a name you can trust, equipment you can depend on!. Many business owners and property managers find it convenient to have our personnel inspect and test the emergency lighting when we are already there updating the other fire protection equipment. 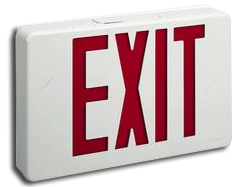 The Ontario fire code (subsection 2.7.3) requires that all emergency lighting be inspected and tested monthly to ensure that the emergency lights will function upon failure of the primary power supply and annually to ensure that the unit will provide emergency lighting for a duration equal to the design criteria under simulated power failure conditions. After completion of the annual testing, the charging conditions for voltage and current and the recovery period shall be tested to ensure that the charging system is in accordance with the manufacturers specifications. London Fire Equipment Ltd procedures and record keeping fully comply with the above requirements. Each service technician is fully equipped to repair or replace faulty bulbs and batteries on the spot, in doing so we prevent additional service calls to make the necessary repairs saving you money. Copyright � 2007 London Fire Equipment Ltd.All Rights Reserved.